This well-established San Francisco tanning salon is ideally priced for the working owner who seeks a fantastic return on investment, or for the entrepreneurial buyers who seek to hire a supervisor and reap the benefits of a low hassle, feel good potentially absentee owned income stream. The salon, which has been a neighborhood favorite for years, provides its loyal client base an array of top quality ultraviolet and spray tanning equipment including a low and medium pressure lay down and stand-up tanning options, as well as a spray tan booth and additional services that offer complementary cosmetic benefits. 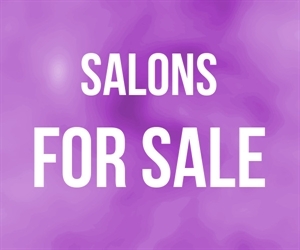 The salon boasts roughly $1,500 per month in recurring automatic electronic fund transfer (EFT) revenues to maximize profits and provide a stable income stream during the non-peak winter months. Location and Facilities: This 721 square foot facility leases for $3,650 per month including common area maintenance expense (CAM) on a lease that expires in 2013 but that will have options to be negotiated within the sale. All of the salon s furniture, fixtures and equipment will be fully paid off and will transfer in the sale. Market Information and Position: New owners may seek to evaluate the addition of a high pressure tanning option, the implementation of services such as body wraps or massage, or consider expanding the retail offering. New owners may also seek to invest in an aggressive advertising and promotion campaign as the current owner primarily relies on word of mouth referrals and the location s stellar visibility for new business. San Francisco is a competitive market for indoor tanning, however, salons tend to enjoy a loyal local clientele based on the convenience to where they work and reside. Competition: Salons are relatively secure from new Competition in their immediate vicinity. As this store has been established for over 7 years it is considered a mature salon.